The rural house was built in the mid-eighteenth century. Later, in 1795 the first parish priest of the Villa de Arafo, Tenerife, D. Antonio José Rodríguez de Torres fixed his residence in this house. That's where the name comes from that everyone still knows this exceptional rural house: La Casa del Cura Viejo. The rehabilitation of the facilities allowed to offer this rural house of charm as accommodation of Rural Tourism. A distribution has been achieved in 3 apartments of 2 spaces each. Each of these apartments has a kitchen-dining room and bathroom on the lower floor and bedroom on the upper floor. 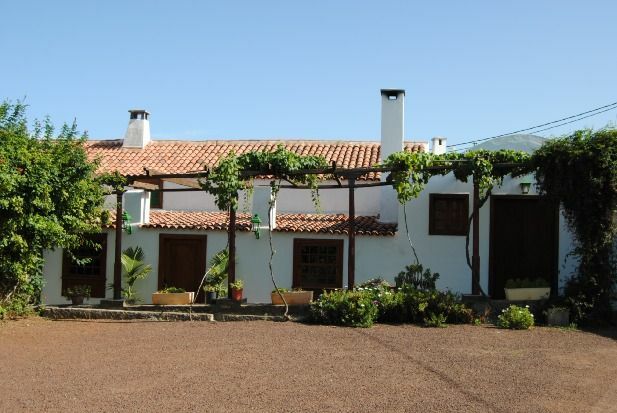 The rural house also has a large shared-use room for the three apartments, equipped with a fireplace, comfortable armchairs, books in various languages ​​on topics relating to the Canary Islands, telephone, etc. Outside the rural house Casa del Cura Viejo you will find a magnificent garden, with all the necessary furniture for your comfort; It also has a swimming pool, barbecue, solarium, parking ... and a unique view of the sea and the mountains. Casa del Cura Viejo country house offers everything for an unforgettable holiday. Hemos pasado unos dias muy buenos ,en la casa ,es preciosa , mi hija disfruto muchoooooooooooo en la piscina ,el trato de los dueño y la señora que la cuida excelente ,nos gustaria volver.